I’m sure you’ve noticed how Lil’ Wayne’s style has changed over the years. 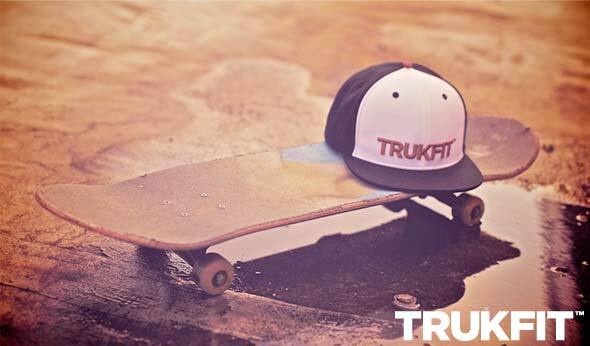 Well, now he has launched his own clothing line, called Trukfit. 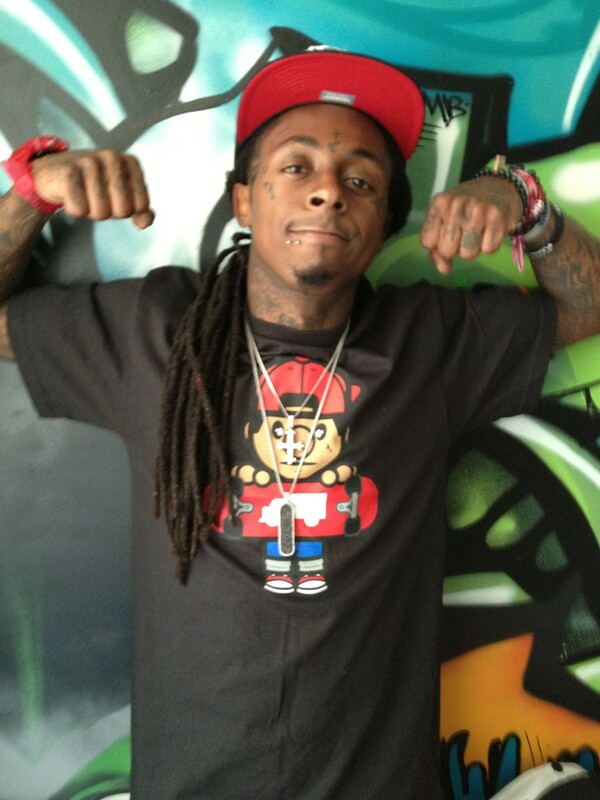 Lil’ Wayne says the inspiration for Trukfit came from his old Hollygrove neighborhood in New Orleans. He explained that people couldn’t afford to go to high-end chains to get their Polo and Hilfiger gear. He said there was a truck that would come around the neighborhood selling the same items. He said it wasn’t called an ‘outfit’, it was called a ‘truck fit’. The line includes graphic tees and snapbacks. I thought I was hearing things when I watched the video from New Orleans rapper Dee-1. He’s taking shots at America’s sweethearts, Jay-Z, 50 Cent and Lil’ Wayne. This dude is going in too. It’s either gonna make him or break him, but I like his confidence. Hell, no one else will do it. He basically tells Fif that he’s slaughtering the careers of other rappers true enough, but all of them are black. That’s what they want us to do, so it’s another ‘W’ for the other team………SO TRUE!! He tells Weezy F that the shout outs to New Orleans at the Grammys was cool, but when is he going to give back to the city, namely the schools. Dee-1 ain’t biting his tongue on this one. On to H to the Izzo. Dee-1 says Jay-Z has so much influence on hip-hop culture that he needs to use his voice and let it be known how he feels about these young cats and wack rappers messing up the culture. He says Jay doesn’t have to be the next Talib Kweli, but damn, say SOMETHING! I feel you on that Dee-1. I don’t know what the future holds for this talented rapper, because if any of these three lyricists takes anything he says the wrong way, it could be a wrap for him. Oh well, you be the judge. The phenomenon that is Nicki Minaj….. What is the fascination with this chick? I don’t think I’ll ever figure it out. She does have her own original style. I don’t know why nobody ever thought about styling themselves after Barbie before, but it was a great idea and it worked. At one point I was tired of the whole Barbie craze. I mean you can’t be a size 22 talking about, “It’s Barbie b$%#h.” That just doesn’t work. So how did Nicki go from Onika Tanya Maraj, to Nicki Minaj? We do know that she was born in Trinidad and moved to Queens, New York when she was five years-old. And we know she was discovered on MySpace and signed to Young Money. But what happened in between? 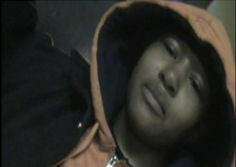 Some people swear Nicki was this butch girl who had some sort of crazy ‘relationship’ with incarcerated rapper, Remy Ma. I’m not too sure about that one but obviously her fans don’t seem to care either. Over time Nicki has grown on us and she seems almost normal now. 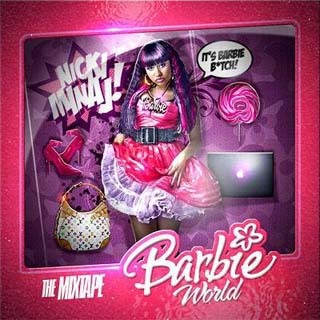 Her rhyme style reminds me a lot of an early Lil’ Kim, but hey Kim ain’t doing nothing with it so why shouldn’t Nicki? I do like some of her songs, but at times she sounds a lot like Fire Marshall Bill from ‘In Living Color’. “LET ME SHOW YOU SOMETHING”. Nicki has a gimmick that sells, but for how long? With Lil’ Wayne locked up, Nicki has joined forces with Diddy, and we know Diddy is a genius when it comes to hyping people up and then ruining their careers. So, we’ll have to wait and see if Nicki Minaj can stay on top as the ‘Barbie of Hip-Hop’ or end up like Skipper? Walter Johnson, Antonia Carter’s brother made his debut last night on the premiere of season two of the BET reality show, The Tiny & Toya Show. Walter and Toya’s relationship wasn’t on good terms because Walter had been locked up for over ten years for an armed robbery conviction. On the episode he comes to town and he and Toya get into a shouting match about their turbulent upbringing and where they stand now. It all ends well with them making up and Toya calling Tiny to see if Walter can use her studio because he wants to be a rapper. O.K. first of all this dude can really spit. TriFelon became a lover of economics, science, math and social conditions affecting him and his community while in prison. He came to realize that education was the key to success. He raps about racism, Hurricane Katrina, and problems African-Americans face. He has a gritty edge and a raspy voice. Once he gets some hot tracks to lay his vocals on, I think he’ll be a problem. Toya seems to be making the lives of everyone around her positive. She has been blessed and it’s good to see her helping her family in a positive way as long as they are willing to help themselves. I’m rooting for Walter. He has something that a lot of young black men don’t ever get. A second Chance. Good Luck! Lil’ Wayne has been locked up for a couple of weeks and to let his fans know that he’s thinking about them, he launched weezythanxyou.com. When I saw the site I thought it was just a letter to the fans thanking them for their support. Nothing new right? But near the end Lil’ Wayne acknowledges certain people who’s letters have touched him specifically. He says the name of the person then points out things about their letter that meant something to him. It shows that he really is not only reading the letters but taking something from them also. I know you’re thinking, “he’s in prison. What else he got to do?” He could be doing a lot of things, but he is responding to his fans and that’s big! What’s the deal with Young Money Ent.? They are kind of all over the place. True enough they are signing some talented MC’s, but what do they plan on doing with them? Record companies use to be like cliques consisting of best friends, cousins, homeboys, childhood friends. Some of them couldn’t even rap, but all of them belonged there. When Young Money signed Omarion this summer, I wondered where were they going with this one. How did he fit in? (Does 50 Cent and The Game ring a bell?) When I think of an artist starting their own label I think of Roc-A-Fella, No Limit, Ruff Ryders, G-Unit, and Derrty Ent. They are loyal to each other ‘cuz they got some sort of bond between them. They know what makes each other tick and what pisses each other off. You can’t bring a dude off the streets and expect him to automatically click with dudes that’s been knowing each other for years. Rumors are floating around on Twitter that Omarion leaked a song and it cost him his spot on Young Money’s roster. Why are people still throwing salt on Antonia ‘Toya’ Carter? This girl hasn’t had an easy life by no means. Mom’s been on drugs most of her life, Dad in prison. Raised by family members. Pregnant at 14. It was obvious to see, on her reality show, ‘The Tiny & Toya Show’, that Toya still had feelings for her ex-husband Lil’ Wayne. She explained that Wayne was her first love, first boyfriend and everything in between. But she said she loved him, but wasn’t ‘in love’ with him. Understandable. But then she started dating NFL player James Hardy. Now here comes the hating. He’s a woman beater who jumped on his baby’s mother and son. James explained his side of the story and said his ex-girlfriend fabricated the story. Who knows what happened. Let’s just be happy for Toya, and her new man. James Hardy is a handsome, successful black man from who plays for the Buffalo Bills. I’m glad and excited for her, she deserves to be happy, and from watching the show, despite her being a young mother, and going through all the drama that goes along with being Lil’ Wayne’s ex, she’s doing a great job. Give the lady her props! Bow Wow announced via his Twitter (@bowwow614) that he has signed to Cash Money Records. First of all I thought Bow Wow said he was retired. His last CD, New Jack City II, I think went double wood on the charts. Ever since he announced his signing with Cash Money, Bow Wow has been shouting CMR (Cash Money Records) and YM (Young Money), Lil’ Wayne’s record label. Well, some of the Young Money artists (Tyga, Jae Millz) must not have been aware of Bow Wow’s new home, because when they heard, they made sure to let all of their twiggas on Twitter know that Bow Wow is signed to Cash Money not Young Money. Bow made sure to reiterate that it was still the same family. How will Bow Wow’s style and swagger mesh with the rest of Cash Money/Young Money? After all they recently signed hip-hop’s savior, Drake. Will he fit in? One things for sure they also just signed Bow Wow’s homie Omarion. Now if only they can sign Pretty Ricky they’ll have their very own ‘Scream Tour’. The Jay-Z/Ciara concert at Chastain Park in Atlanta was cancelled Sunday July 12, due to “rain”. Some say Jay’s private jet wasn’t able to land in the bad weather, other’s say he was at the venue at 9:30 but didn’t perform. The concert promoters, Live Nation were surprised because of poor ticket sales so rumors started that Jay-Z never even showed up. Hov’s been called everything from too old, too corporate and plain washed up. Say what you want but one 16 from Jay-Z will crush some rappers whole CD. Maybe he should have picked another city. People in the South have never been huge Jay-Z fans anyway. Then to top it off his latest single D.O.A. (Death of Auto-tune) is knocking the hustle that’s making Southern rappers like T-Pain and Lil’ Wayne millions. He offended a lot of people, including East Coast rappers like Jim Jones, and Juelz Santana by trying to influence millions of people to stop supporting music where auto-tune is being used. I’m tired of all the songs too, but instead of Jay-Z and other hip-hop artists trying to bash it, give us some hot music and we wouldn’t have to listen to it. Who is Antonia ‘Toya’ Carter? We all know she’s Lil’ Wayne’s baby mama/ex-wife. But we didn’t know she has a mother battling a drug addiction to crack, and a father in prison. Like a lot of people I thought the reality show, ‘Tiny & Toya’ was going to be about two hoodrats trying to make a name for themselves riding their baby daddies fame. So far I’m wrong. The first episode saw the two women dealing with serious family issues. Toya was very well spoken and doesn’t come across as cocky or arrogant. I mean she was married to one of the world’s biggest hip-hop stars. She and Wayne met in the seventh grade and she had her daughter when she was only 14. 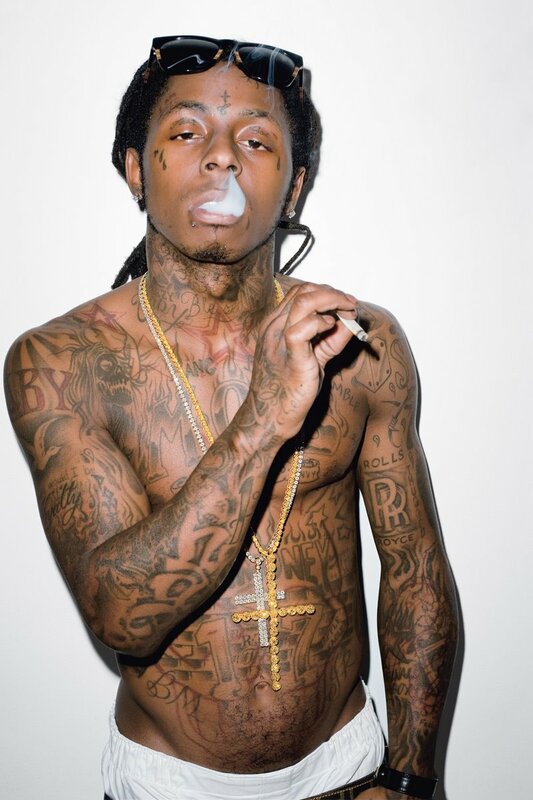 Since then Lil’ Wayne has a couple more baby mamas and has been involved with quite a few women in the industry. I can’t help but wonder if Toya will be the one he let get away.